Won't be sleeping in there tonight... What do I do? Apparently they can lay up to 3000 and I'm an arachnophobic! Oh dear. If it was me I'd somehow humanely dispose of them outside, killing nature just seems wrong, unless you plan on consuming the meat. na im joking lol, call a company who deal with pest problems, or try your local council cuz if u r receiving somw kind of benefit then the service is free for certain benefits not all. Oh dear. If it was me I'd somehow humanely dispose of them outside, … Oh dear. If it was me I'd somehow humanely dispose of them outside, killing nature just seems wrong, unless you plan on consuming the meat. Unfortunately it's not possible, as horribly harsh as it seems, they're too small and too vast. That's what I'm gonna do tomorrow, I am actually petrified to check in case they have spread further and/or there's more! 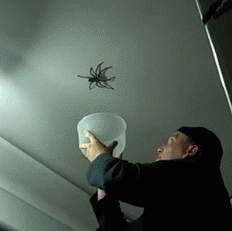 I don't like killing spiders because they deal with the smaller bugs we do not see, but a one giving birth in my bedroom is another matter Buy one of those flea bombs from the pet shop and it will get rid of them - you'll have a roomful of corpses though. There's a flea spray you can buy that will kill every insect in the room and keep it bug free for weeks. I bought it to spray in my shed that was full of spiders. Calling the council over a spider? Seriously? Get a grip and take it and its offspring outside. It's a spider not a lion. Calling the council over a spider? 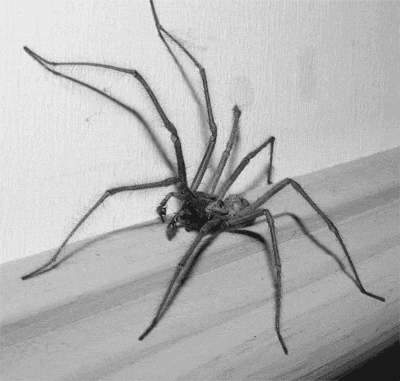 Seriously?Get a grip and take it and … Calling the council over a spider? Seriously?Get a grip and take it and its offspring outside. It's a spider not a lion. It's not a single spider, it's tens, maybe hundreds, it's easy enough for you to say. chuck boiling watrer over them, like i do with ants, quickish death. Remove any surplus cardboard as they are attracted to it for some reason but the best way to kill them is ant powder. It's not a single spider, it's tens, maybe hundreds, it's easy enough for … It's not a single spider, it's tens, maybe hundreds, it's easy enough for you to say. call a friend who has some balls and get them to deal with it. Isn't it possible that the spider and the rest of the troops may vacate on their own ? That's horrible. What's wrong with you? I'm just a sadist that's all, mind you your room will get a bit wet using my method, its quicker than poison like most have suggested here, now that is bad, but its sold in most shops, strange, oh and my method cost nothing, unless you count boiling the kettle, and if your on a water meter. I have used this stuff called "Raid" which is an ant killer, but it seems to be effective on spiders too. Sad but necessary. Leave them alone. They will help to deal with the midges that will chew you at night. Leave them alone. They will help to deal with the midges that will chew … Leave them alone. They will help to deal with the midges that will chew you at night. Napalm. 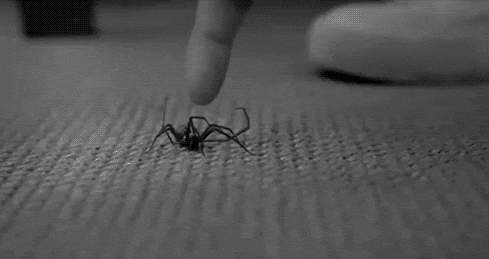 Or get a bigger, pet spider like a Huntsman to eat all your smaller ones. Ever wake up with a dry, scratchy throat? That's because spiders have crawled into your mouth and farted. Spearmint. Spearmint is a natural deterrent. Anything minty infact mixed with water. Put it in a spray bottle. Spray around the areas you don't want spiders to enter. Like the door to your bedroom, the windows in the bedroom, around the bed even...Those devices you can plug into a wall that send out ultrasonic soundwaves also work I found. I have seen a lot less spiders since plugging one in since last November. It's not going to get rid of every single spider but it will definitely scare most of the big ones away. The only ones I see in my house now are those small itty bitty spiders around my window. Hope this helps and apologies if I scared you with the pictures of the spiders. Those are actually my hands. I held a tarantula on a day out with the kids.